Greetings friends and fellow crafters. LeeAnn here today joining the Summer 2017 Coffee Lovers Blog Hop with Sunsational Stamps. 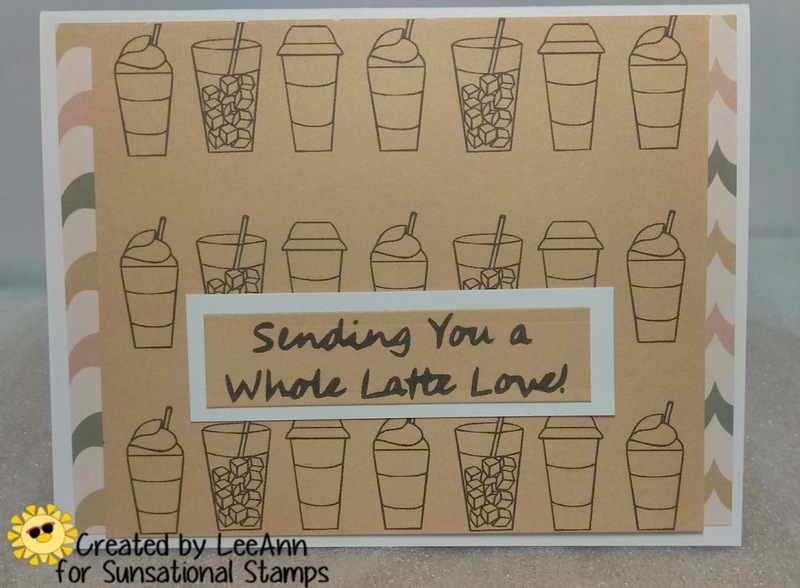 My project today is using the Love You Latte digital image set. To make my project I used my Silhouette Cameo software to trace the images, make the lines black and shrink to the size I wanted to use. I then filled the page size of 6" x 6". I sent this to my HP printer and then went to work. My card base is Recollections 110 lb card stock A2 size. I then used K&C Company Pastels Color Basics card & Mat pad which I cut down to 4 x 5.25. I cut the panel I printed to 3.5 x 5.25 and used double side tape to adhere it all. The sentiment I cut using my paper trimmer. I hope you have enjoyed this project, I had fun making it. Great card, LeeAnn. Thanks for sharing. 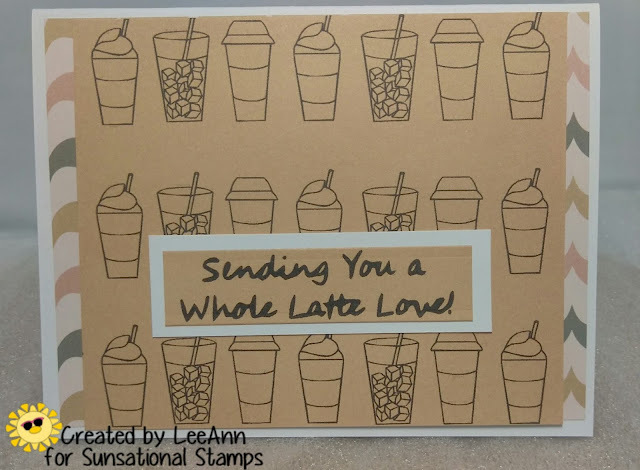 Like your choice of kraft paper for this coffee themed card. Thanks for sharing it as part of the blog hop. Love the kraft...so very fun! 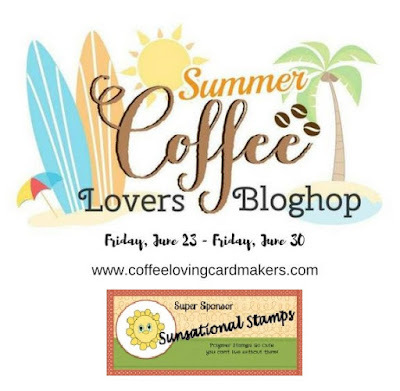 Love the coffee background you made for this card! Gorgeous card, would be great for a guy! Oh my! That sentiment reminds me of an oldie song that is now running through my head!! Gotta love Led Zepplin! Love your card!! I love that design and all the kraft colors. Love me some Latte!!! Great sentiment!